Wipe-It NOW Screen Cleaners are always available for a quick wipe! Safely and completely cleans and polishes the view screens of cell phones, mp3 and DVD players, laptops, and GPS devices. 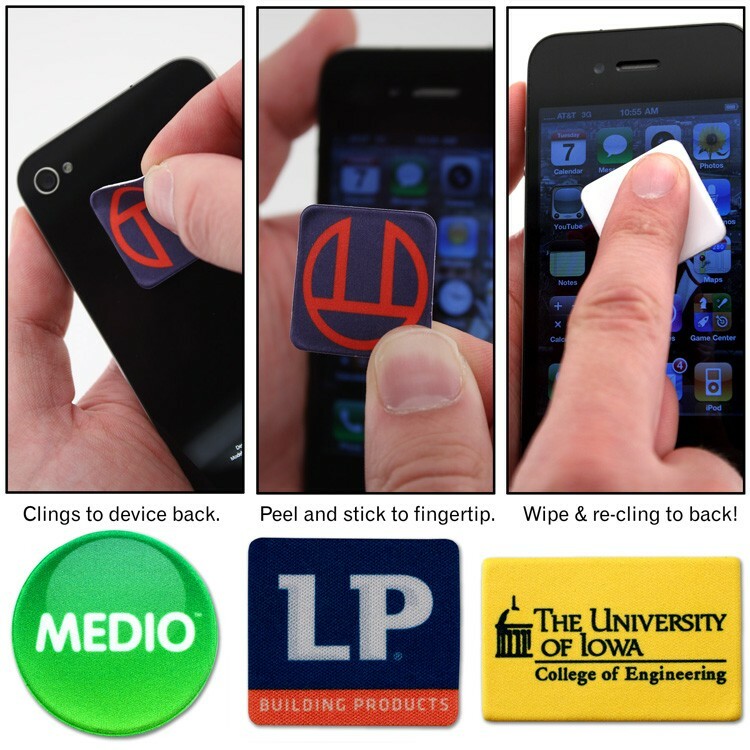 Adhesive microfiber material clings to device back for quick access. Remove and stick to fingertip to clean screen. Re-usable and washable. Stock square shape (stock rectangle, round and custom shapes available). Includes full color imprint. Packaged with full color card insert in individual poly bag. Also available in round, rectangle and custom shapes.